"I am a medical student at Semmelweis University and the Excel Statistical Master helped me so much with passing my midterms and my semifinal exam. There is no way I would have passed without it. 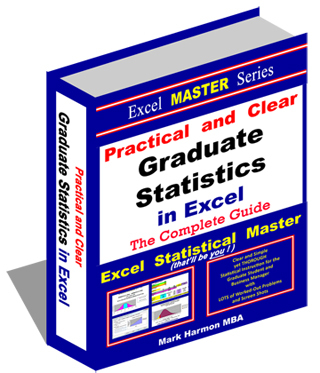 Even though I went to all of the classes and consultations, it was the Excel Statistical Master that taught me all of the basic concepts for the different tests we used. Each test is explained in different steps and how you performed it on Excel. Illustrations and screenshots make it easy to follow, even for those like me that never had used Excel before. 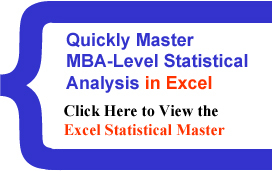 I highly recommend Excel Statistical Master for all medical students. It's worth every dollar. And I have to say that the communication with the seller have been the best! If I had questions about statistics problems, he more than gladly answered them. It's so easy and saved my from hours with reading! "Here Are The Two Ways YOU Can Do It." 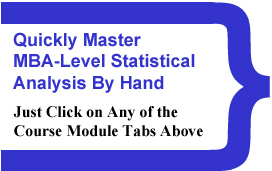 "Here's Why You'll Love Our Statistical Courses and Manuals."